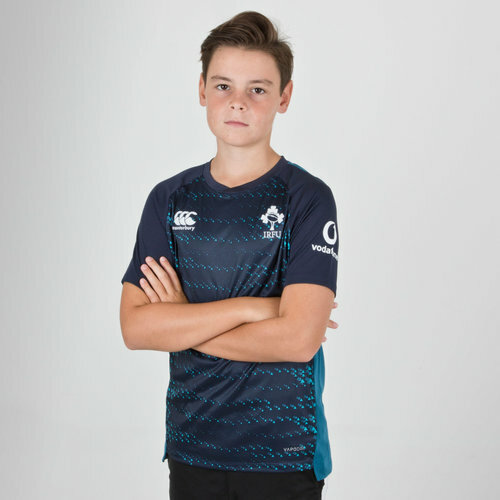 Whether it's out and about, in training or at the Aviva Stadium, make sure you look your best in this Ireland 18/19 Kids Superlight Rugby Training T-Shirt from Canterbury. 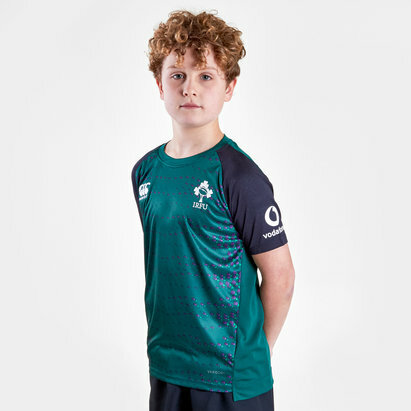 The Ireland VapoDri Drill Tee replicates the graphic of the player's training jersey on high performance fabric, for a great look without compromising functionality. This t-shirt is predominantly navy with light blue under the arms and a light blue design. The CCC logo and Ireland Shamrock have been embroidered onto the shirt on left and right, respectively. The team's partner, Vodafone - a collaboration since 2016, is embroidered on the left sleeve. 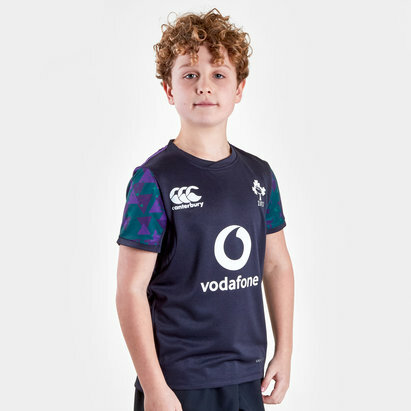 Keep it fresh in this Ireland Kids Superlight Rugby Training T-Shirt. Model is wearing: Size 12 years.